Resident Evil 7 embraced an unsettling horror presentation built around claustrophobia and dread. Players were fragile and death lurked around every corner. 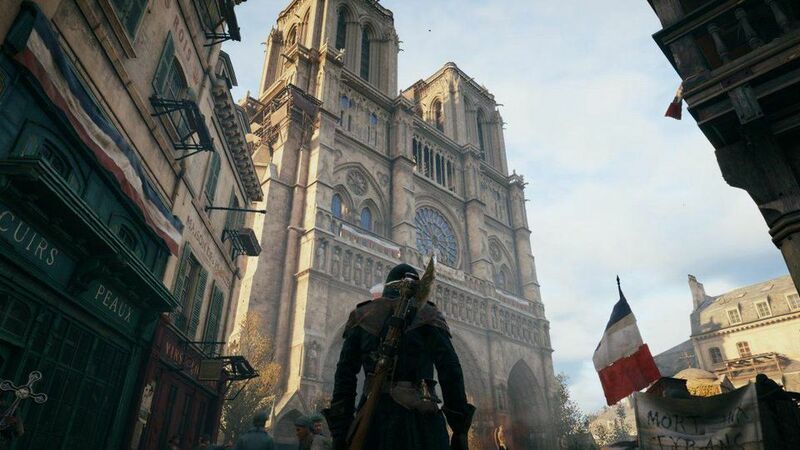 The game's latest downloadable content switches things up. It's all about making the monsters fear you. 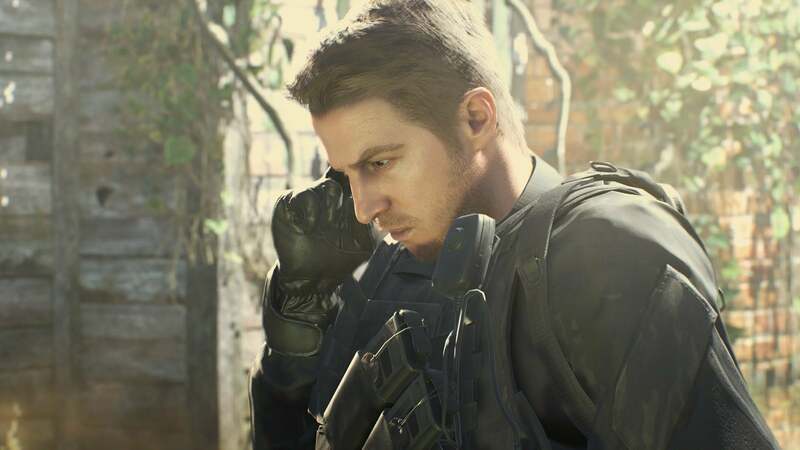 At the end of Resident Evil 7, players were shocked to encounter series regular Chris Redfield working alongside a revamped version of Umbrella, the nefarious corporation responsible for most of the series' monster-filled disasters. The game advertised that an expansion would explain exactly what was going on. The extra content Not A Hero, which came out on Tuesday, finally provides some answers months after being delayed. Players take control of Chris on a mission to hunt down Lucas Baker, the unhinged son of the violent Baker family from the main game. Lucas has reclaimed a series of underground mines and turned them into a laboratory. Chris will have to face new monsters and avoid Lucas' sadistic boobytraps in order to bring him to justice. Not A Hero is an exercise in player empowerment. Resident Evil 7's protagonist Ethan Winters was vulnerable, scrambling to assemble a makeshift arsenal that could fight off unimaginable horrors. Chris knows exactly what he's doing. He's equipped with a sturdy pistol, a combat knife and a powerful shotgun. These tools make it easy to tear monsters to bloody shreds, and much of the expansion involves confidently blasting waves of enemies with your superior firepower. 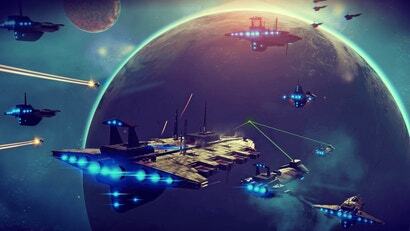 It's a different kind of gameplay experience than the base game, which severely limited ammunition and resources. Chris is a bonafide action hero. In order to shake things up, Not A Hero adds numerous complications. 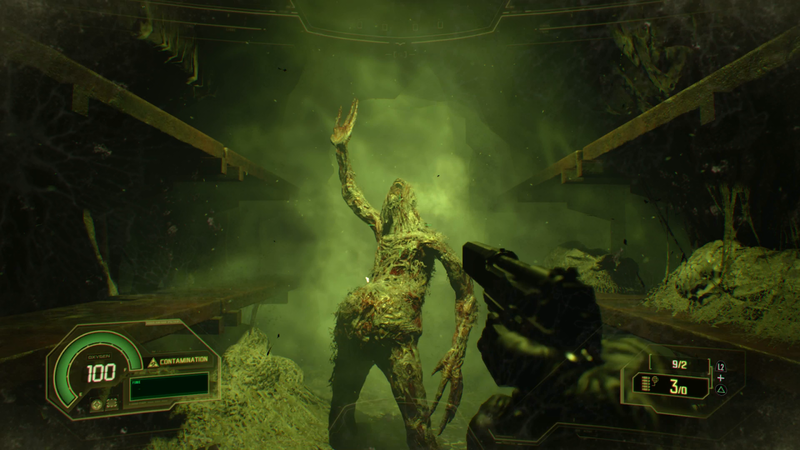 Highly infected enemies cannot be killed with normal ammunition, contaminated areas must be navigated before Chris runs out of oxygen, and dark caverns can't be reliably explored without first locating night-vision goggles. The underground mines were underutilised during Resident Evil 7's main campaign. Not A Hero turns them into an interweaving maze of monster nests and hazards that feel entirely distinct from the cramped hallways of the Baker Plantation. It's less about what might lurk behind an unopened door and more about panicking as a pack of clawed abominations back you into a corner with only a few seconds of oxygen left. Not A Hero is a successful reimagining of the series' action-focused titles. End Of Zoe, which also came out Tuesday, attempts to tell the tale of what happened to Zoe Baker after she was left behind at her family's plantation near the end of the main game. It's a strong hook that is quickly dismissed so that players can take the role of the hitherto unknown Joe Baker as he saves a damselled Zoe. Joe's introduction into the story is sudden and awkward. He's both a noble warrior and grime-covered swamp dweller, Jeremiah Johnson by way of The Devil's Rejects, and even by Resident Evil standards he feels out of place. Joe's solution to dealing with monsters is to punch them real hard until they die - first with his bare hands and later with a prototype power-gauntlet. You find an enemy and you rush up to punch them over and over until they die. Occasionally, you can stagger them and dispatch them with a gory finishing move. While the DLC tries to give you extra actions, such as stealth executions and spear-throwing, it's usually more effective to get in close and keep punching until your enemy is a pile of goo. This is arguably the most empowering experience in all of Resident Evil 7; there's no need to be afraid when you can destroy all the monsters with your bare hands. It's fun but ultimately far too shallow. There isn't much to do but punch and keep on punching. End of Zoe can't decide if it is a serious story about family or a cheesy grindhouse romp with one liners and uppercuts. Everything is played with a heaping spoonful of self-seriousness that clashes with the absurd gameplay. When you boil it down to the core, End of Zoe is the story of a swamp hermit killing monsters with the help of his punchy science glove. I would have liked to see them lean even further into the concept's schlocky nonsense. 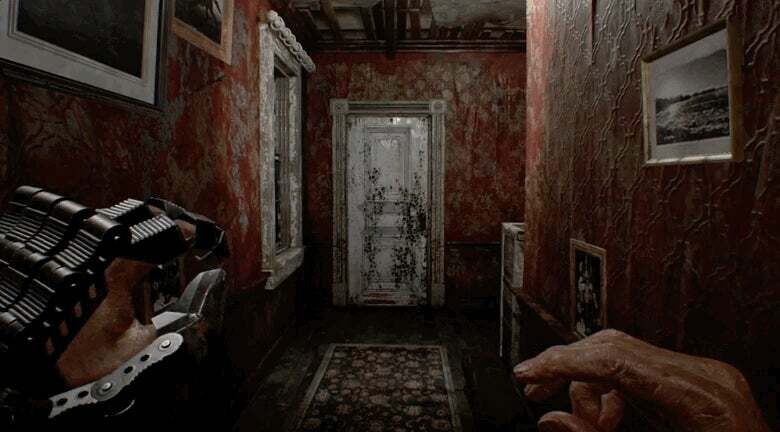 Resident Evil 7's initial rounds of DLC, which came out January, focused on puzzle solving, most notably in a room escape sequence that disempowered players. Not A Hero and End Of Zoe go in a completely different direction and give players the chance to shoot, blow up, smash and power-punch monsters right in their teeth. There isn't as much horror here, but there's still plenty of catharsis.